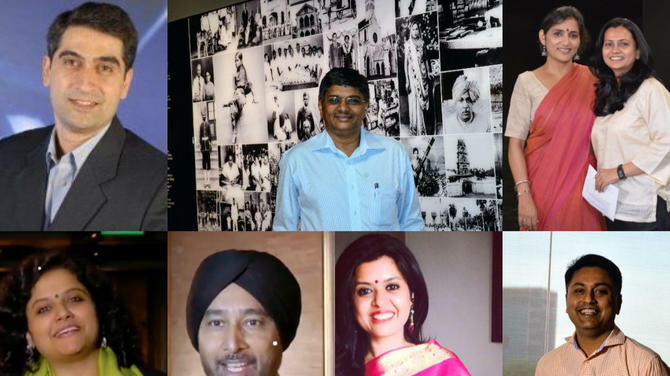 Unveiling an exclusive to-do list on the foreign policy front, Bharatiya Janata Party has promised to set up an institutional mechanism to engage with the Indian diaspora worldwide if voted to power in the upcoming General Elections. 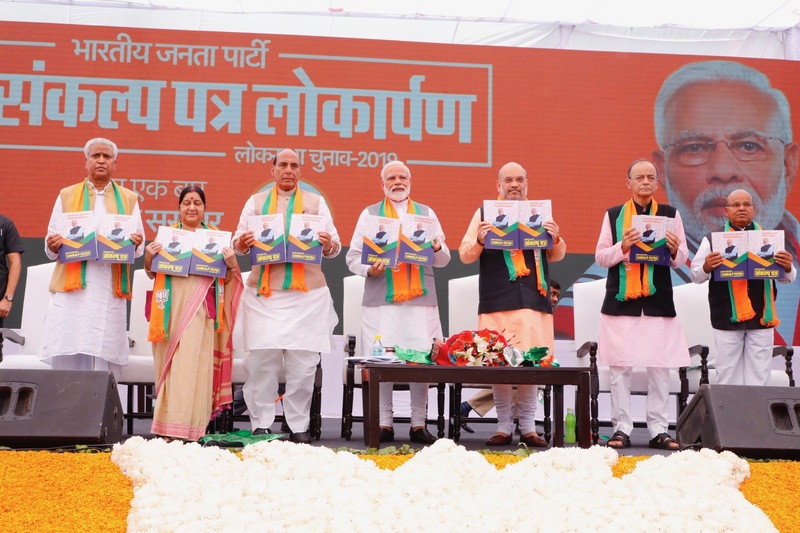 In its poll manifesto released ahead of Lok Sabha elections starting tomorrow, the leading party in ruling coalition National Democratic Alliance (NDA) said it will also launch an extensive outreach campaign to engage the overseas Indians and firm up a single window counter to help them when in need. 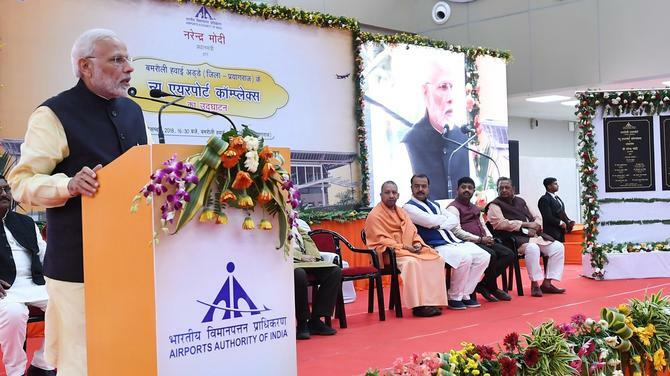 "We will create an institutional mechanism to deepen the relationship of culture and heritage with people of Indian origin, and to regularly engage with them," said the manifesto titled Sankalp Patra, literally meaning "The Charter of Resolution." 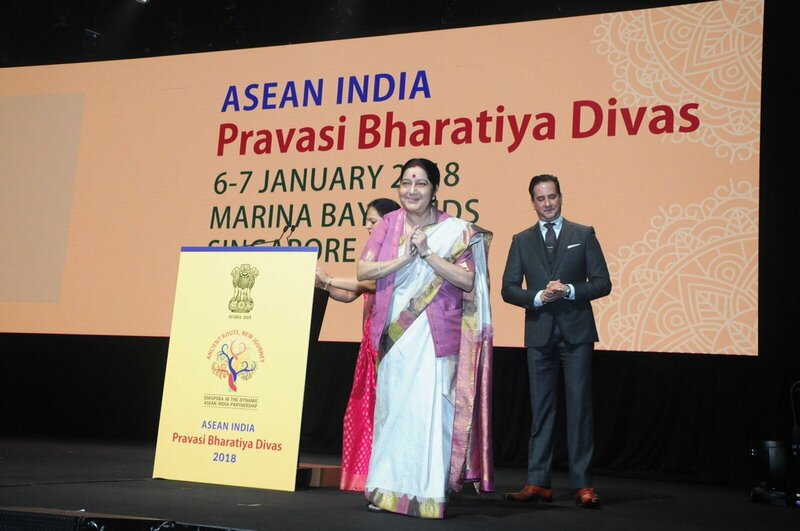 "We will simultaneously launch ‘Bharat Gaurav’ campaign to increase interaction among the Indian diaspora and enable their continuous engagement with the Indian missions," it said. The manifesto promises to strengthen the MADAD portal as "single-point avenue" for information and services for Indians living abroad. Under External Affairs Minister Sushma Swaraj, the online consular services management portal MADAD has been hugely popular for its quick disposal of problems faced by the Indian overseas. 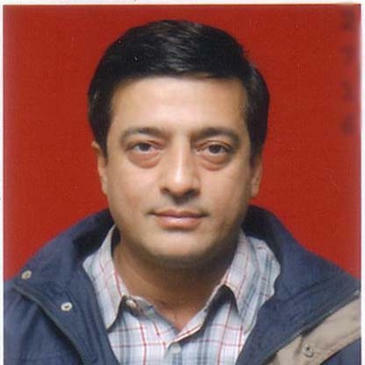 Among the range of listed promises such doing away with Article 35A, 370 of Constitution that gives special privileges to state of Jammu and Kashmir, building Ram Mandir, pension for farmers, and so on, the manifesto also promises to strengthen the foreign policy front to secure India's position as global power. 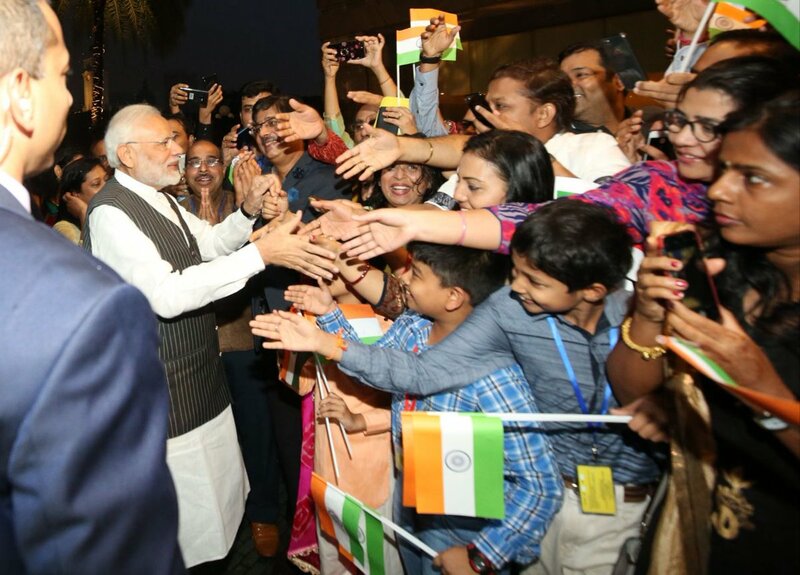 The globe-trotting Prime Minister Narendra Modi enjoys almost a celebrity status among the Indian diaspora, going by their huge turnout to see him in every country he visits. His popularity is complemented by Swaraj who too enjoys global popularity because of her prompt resolution of problems posted by Indians in distress on her Twitter handle. The poll-bound, right-leaning BJP is keen on leveraging the "Advantage NRI" in this elections over its rivals such as Congress which has comparatively little or no global footprint among diaspora. "We believe that India’s time has come. She is emerging as a power and connecting stakeholders in a multi-polar world. The rise of India is the new reality and we shall play a major role in shaping global agenda in the 21st century," the BJP manifesto said, in an appeal to newfound identity of India as VishwaGuru (the global guru) among the Indians settled across the world. 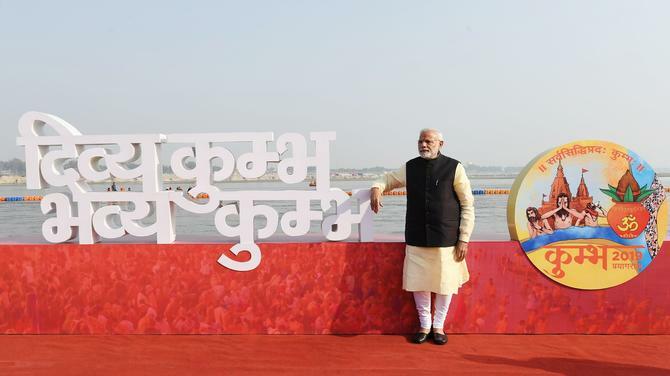 "While pursuing our national developmental and security interests, the ancient Indian vision of ‘Vasudhaiva Kutumbakam’ (the world as one family) will form the basis in our global co-operation for progress, prosperity, peace and security, especially with friendly countries and neighbours," the manifesto said. "Besides working to secure and safeguard 'global commons', we will strengthen our role as 'first responder' for disaster relief and humanitarian assistance and develop partnerships for disaster resilient infrastructure," it said. 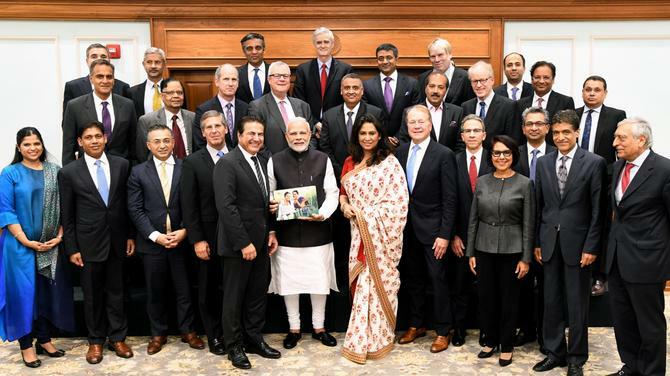 The Sankalp Patra also dwells on global coordination on knowledge and technology, stating that the new government will make knowledge exchange and transfer of technology for the development of all countries "a major focus" of diplomatic relations. "As a part of this, we will endeavour to create an ‘International Space Technology Alliance’ for better coordination and cooperation on issues related to space technology to ensure that the benefits of space technology reach all, especially the smaller countries," it said. Modi government also promises to strengthening the diplomatic cadre and outreach. "We will increase the strength of the diplomatic and allied cadres to keep pace with our increasing global engagement and enhanced stature of India in the world. In addition, we will facilitate the participation of experts in foreign policy-making through a robust mechanism," it said. "We will establish a full-fledged University of Foreign Policy, the first of its kind in the region, to focus on academic study and research on foreign policy and geopolitical issues relevant to India and capacity building of our and friendly foreign diplomats. India’s states will be actively assisted in their international outreach for economic development," it added. "Significant interactions such as Russia-India-China (RIC) and Japan-America-India (JAI) will be strengthened. To forward our Neighbourhood First policy, we will extensively leverage forums such as BIMSTEC, to accelerate regional coordination and economic co-operation with countries in our neighbourhood. 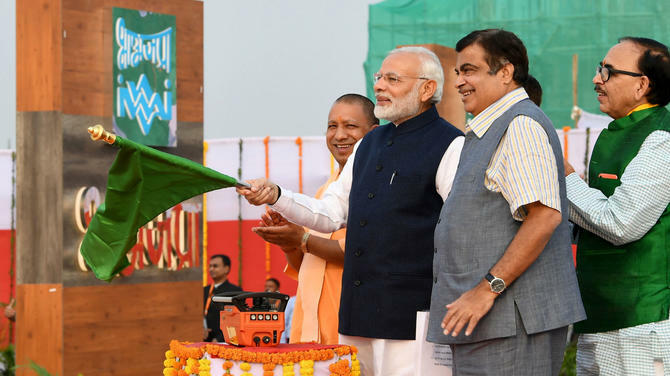 Act East Policy, cooperation with ASEAN and ensuring an open, inclusive, prosperous and secure Indo-Pacific will be pursued vigorously," the manifesto said. The Modi government also vowed to combat terrorism through global forums. "We will effectively pursue co-operation against global evils, such as terrorism and corruption through forums like UN, the G20, BRICS, SCO, Commonwealth, etc," it said. "We are committed to taking concrete steps on international forums against countries and organisations supporting terrorism, and we will take all necessary measures to isolate such countries and organizations on the global stage," it said. "To ensure the same, we will work towards establishing a 'Comity of Nations Against International Terrorism' as a voluntary multi-lateral forum based on the principles of the Comprehensive Convention on International Terrorism," the manifesto added.